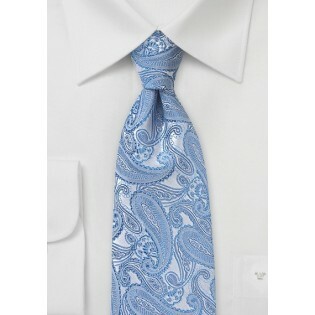 This monochromatic paisley silk tie in powder blue is the perfect choice for your upcoming winter themed wedding. 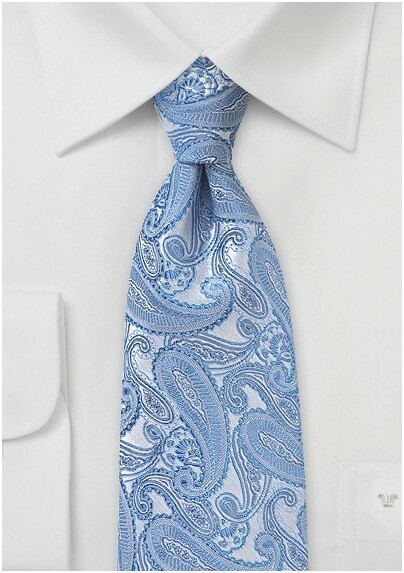 The swirling paisley print, and delicate blue hues of this item are reminiscent of drifting snow, and the mesmerizing color of a snow filled sky. Handmade from 100% woven silk by Chevalier, this option provides a smooth softness that will only add to the elegance of your special day. Pair it with a black suit to really make the entrancing blue design come alive.